motorcycle leather suit is especially designed for professional bikers to fulfill their biking passion on track with great safety. This suit features excellent design & comfort, 100% genuine Cowhide leather, Approved internal & external Protectors. > Triple seam (Stitches) which will never be worn or open the suit. > You may use same suit for 4 to 5 crashes. > Suit might look bad because of some scratches but will never lose the shape or tear apart. > Everything is in suit is 100% A+ quality. 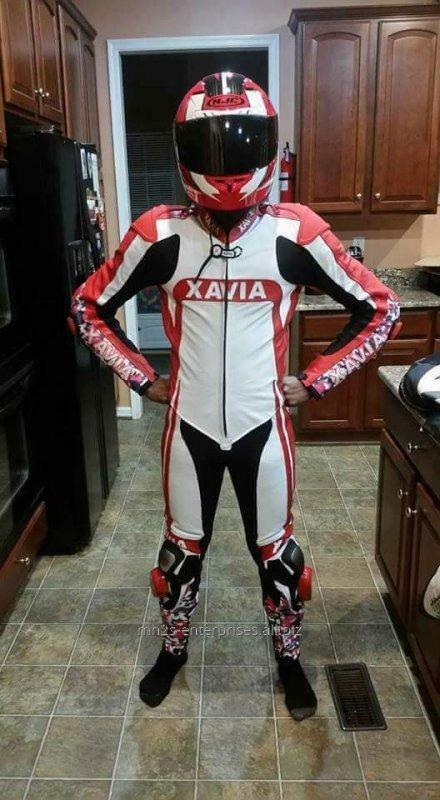 This suit is 100% for professional Bikers. > We take care of every single little detail of suit for professional bikers to have nice and smooth race. > Desired Design is available in 1 piece Suit or 2 piece Suit. Please have a deep look on the chart given below for the best fitting.